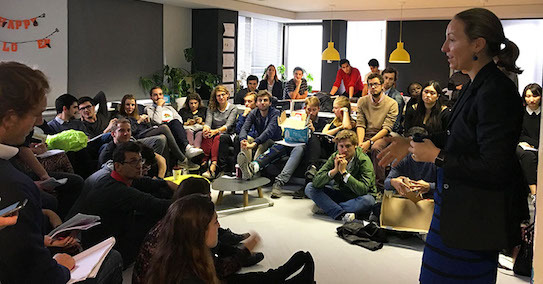 To support the future business entrepreneurs in creating visionary new businesses and game-changing new products, toucanBox was the host to some of the top final year students from the EDHEC International Business School. 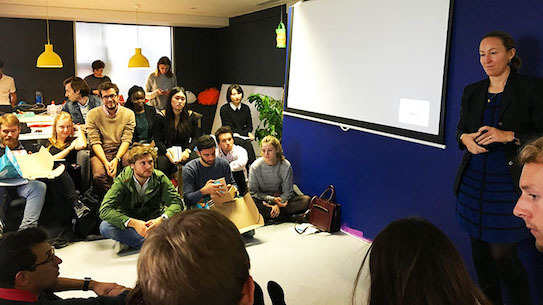 The event was presented by Toucan Chief Virginie Charlés-Dear, who shared the toucanBox story, her inspiration, vision to disrupt the market and what it takes to make a great entrepreneur. 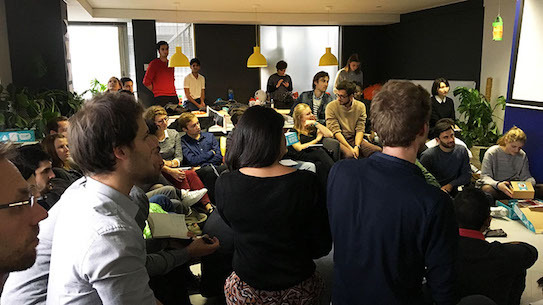 The event culminated in an invigorating Q&A, where Virginie shared some great insight into her experiences. We’ve picked some of our highlights, and sat down to catch up with some of the young entrepreneurs in attendance. A lively Q&A followed the main presentation, with lots of questions ranging from inspiration, development and handling growth. Here are just a few of our favourites. At the beginning: Did you just start to create boxes or did you make sure that the organisation around it was built up at the same time? When did you build your first boxes? When did you decide to invest in tech? Our school teaches us to launch a company right after finishing the school. At the point where you are not used to earning a lot of money, you have no family to take care of, and so on. You did it completely differently. What’s your opinion on that? “These are two different philosophies. I was about to say that the best time for you to do it is when you’re feeling ready. But actually, you will never really feel ready. A good time could be when you have the feeling that there’s nothing else out there right now for you. You have this amazing idea and you can’t imagine not doing it. If you’re not really passionate about doing it, there will be so many situations where you think about giving up. You need to be really committed. It also helps to have a co-founder. So was it hard? Yes, because I was losing a salary. But I received a salary before and saved some money that allowed me to start toucanBox. Me and my husband actually quit our jobs at the same time to start a company each and having a 3-year old and a newborn didn’t make things easier. But you can always go back. After the event we sat down with a few students to discuss their learning, and how valuable it is to see a business in action. How valuable is it to speak to someone leading a company like toucanBox? What did you find the most helpful advice/feedback? What differences do you see between studying in the classroom vs seeing a company in action? What impact do you want to have as an entrepreneur in the future?